Reissued here on heavyweight 180g double vinyl by XL Recordings. Includes a copy of the album on CD. 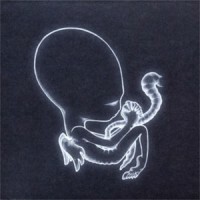 ‘Ágætis Byrjun’ (pronounced ‘Ow-gy-tiss Bi-ar-yun’ - A Good Beginning) is the second album by the Icelandic post rock band Sigur Rós, originally released in 1999. ‘Ágætis Byrjun’ was recorded between Summer 1998 and Spring 1999 with producer Ken Thomas. It became Sigur Rós’ breakthrough album, both critically and commercially. Darryl says: The sophomore release from Iceland's favourite sons, this was the album that propelled them to a wider audience. Soaring and comforting soundscapes with a glacial chill that perfectly encapsulates both their surroundings and winter's frostiness.